A new theory in the philosophy of language accounts for the semantics of all grammatical elements in extra-linguistic terms, i.e., operations within cognitive functions (amongst which those of attention play a key role), and proposes new solutions for some general problems concerning language. Author G. Benedetti introduced a complex and systematic theory of language, Operational Linguistics (OL) in the space of an article (instead of a book, which is necessary for a complete introduction). OL accounts for the semantics of the fundamental structural component of language, that is, grammatical elements, in terms of operations within cognitive functions(therefore, in completely extra-linguistic terms). OL derives from the thought of the Italian thinker Silvio Ceccato (1914-1997), even if it is a broad and innovative development of Ceccato’s thought and noticeably different from it in part. OL is based on a general conception of the human mind that can be considered a moderate form of constructivism. 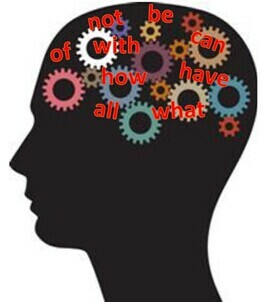 Indeed,OL conceives the mind as having a strong active or constructive character, and accounts for grammatical meanings mainly in terms of operations that the mind actively performs(rather than on the mere basis of the objective situation, as it is often done). The theory is unitary, in that it accounts for all the grammatical elements and terms on the basis of the same (few) theoretical presuppositions. The fundamental thesis of OL is that grammatical elements designate sequences of elemental mental operations within cognitive functions, amongst which those of attention play a key role. The system of elemental mental operations that Benedetti proposes is made up of operations that are commonly described in cognitive psychology: attentional focalization (with its various features: extension, movement, duration, intensity, and the quantitative estimate of these); “presence keeping”(which is strictly related to the well-known concept, developed by cognitive psychology, of “working memory”); representation; the operation of comparison; operations of memory. Benedetti provides two examples of analysis of grammatical meanings in terms of the aforesaid operations. Firstly, the genitive (which is a meaning that has always been particularly difficult to define, and has been accounted for by means of either, traditionally, a “hardly believable”—as Benedetti stresses—polysemy, or some other solutions, none of which is widely accepted).Secondly, the meaning of the preposition “with” and that of the verb “to have” (which are strictly related to each other). Then, Benedetti illustrates OL’s theory about the structure of linguistic thought, called “correlational theory of thought”.The correlational theory of thought is deeply different from the other linguistic theories about sentence structure for at least two reasons. Firstly,it maintains that what is central are not the concepts of subject/predicate or nominal phrase/verbal phrase (as many other theories state), but other grammatical elements (which OLcalls “correlators”) that have traditionally received less attention than the noun and the verb, such as prepositions, conjunctions, the morphological marks of cases, etc.. Secondly, the correlational theory of thought conceives the structure of linguistic thought as much less hierarchical than many other theories do (this makes itimpossible to use the traditional tree structures or similar representations to represent sentence structure, and imposes the use of particular graphics). Benedetti shows how the correlational theory of thought allows us an easy definition of a grammatical concept that has proved particularly difficult to define: “noun”. Together with the definition of “noun” (which is Ceccato’s own), Benedetti proposes his own definitions of other fundamental grammatical concepts: “verb” (a concept that Benedetti distinguishes definitely from “meaning of a verbal kind”, thusmodifying the traditional antinomy “noun/verb”substantially), “substantive”, and “adjective”. Benedetti then expoundssome other aspects of OL: 1) anew solution to the problem of the innate vs. acquired origin of language; 2) a possible reason (among the others) for the difference between human language and animal communication, based on the conception that language originated from the evolution of pre-existing cognitive abilities; 3) a possible spin-off in the field of machine translation. Finally, Benedetti performs a brief comparison between OL and other approaches. He shows that OL is completely different from generative grammar, logical-formal approaches, structuralism, and distributional approaches, while it has something in common (even if with important differences) with cognitive linguistics. Dr.G. Benedetti, Independent Scholar, Pisa, Italy. The paper appeared in International Journal of Language and Linguistics.